At the time my daughter first entered into the hospital scenario that has now become our way of life. I was overwhelmed and discombobulated. I was unsure of the system and the way of the institution. My days were running into each other and I was having a hard time seeing the light in the day. This acknowledgement is long over due. I found writing was getting further and further from me as were my days and control of my life. Yet through all this one day I went to my post box where I opened an envelope addressed to BmB and inside was the coolest bag ever..! At the time it was unmarked who the sender was other than it came from the states. 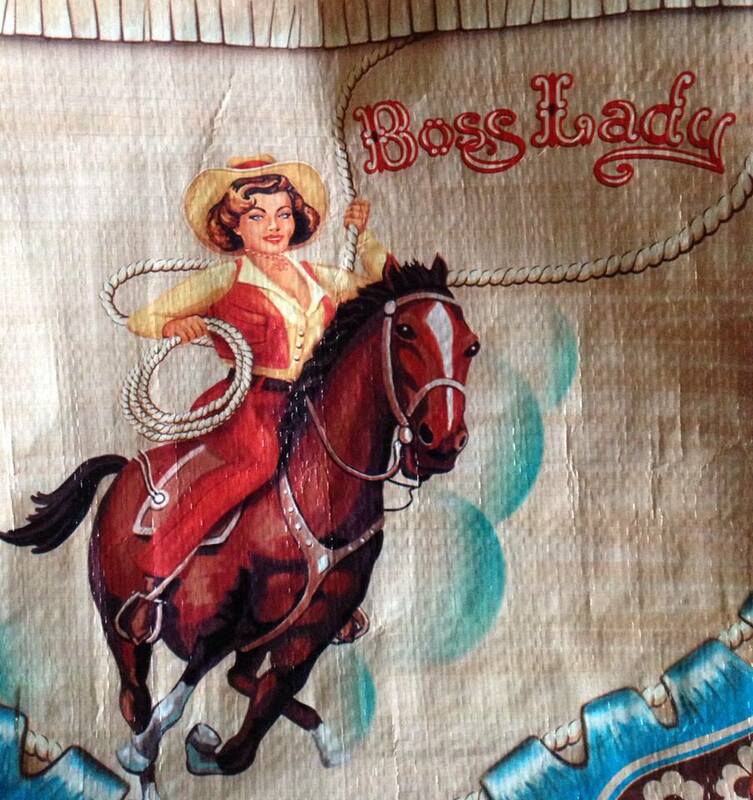 I cried in fact, as it was the epitome of cowgirl chic and I could not get my eyes off of the colour pallet and design. I later found out the bag was sent from Mr. Jackson and the pick was absolutely perfect. 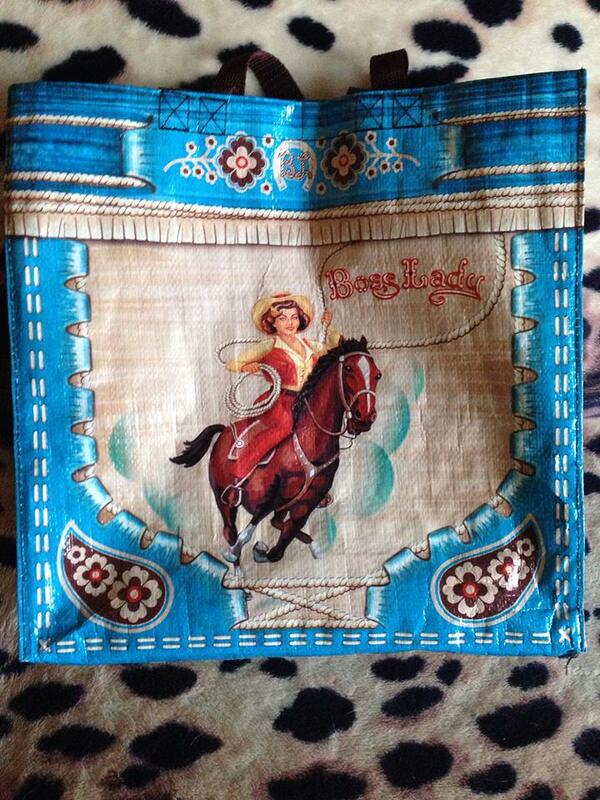 This bag is now a go too for me and I use it as often as I go to town. 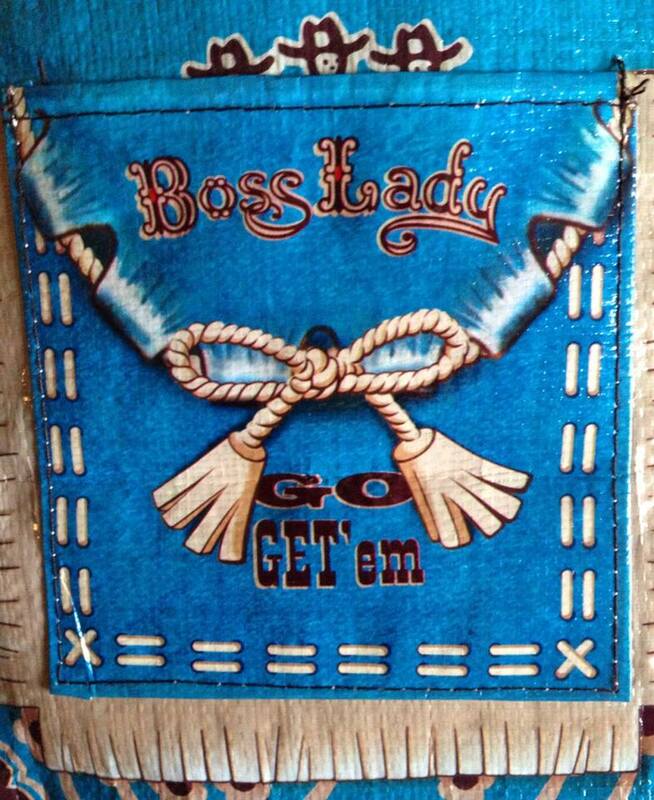 The Boss Lady is perfect and when I pick it up it always makes me smile. This generous token of appreciation found me when I felt hope-less and so, I wanted to recognize this. 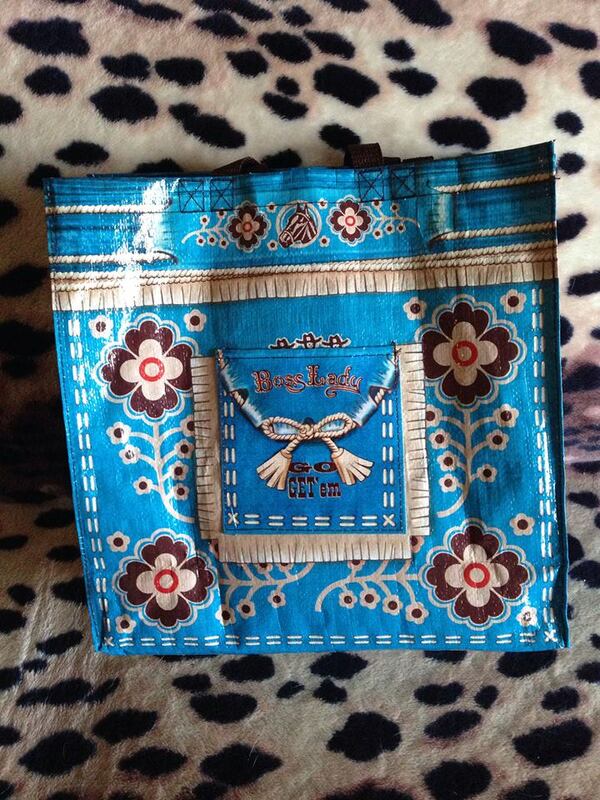 The Boss Lady Bag, made by Blue Q and designed by Haley Johnson is made from 95% post-consumer materials. 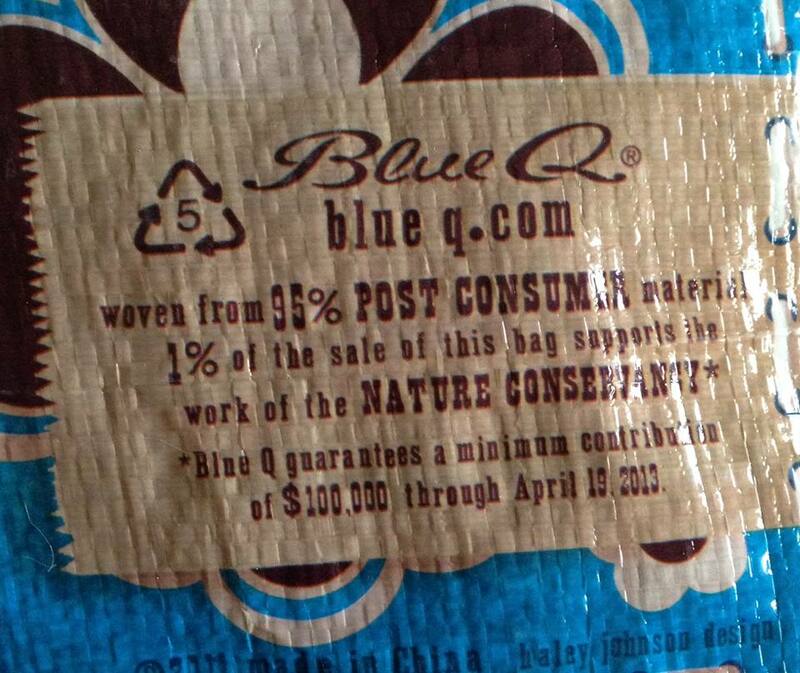 1% of the sales of all Blue Q bags support the conservation work of The Nature Conservancy. Good work..! It is great to know you are purchasing good conscious products and looking at their website their make very cool products..!